Time to Get the Punahou74 Party Started? With the rollout of Punahou School’s Alumni Week 2017, reunion 2019 is nudging its way on to the edge of Punahou74’s consciousness. In one year the reunion countdown will begin. 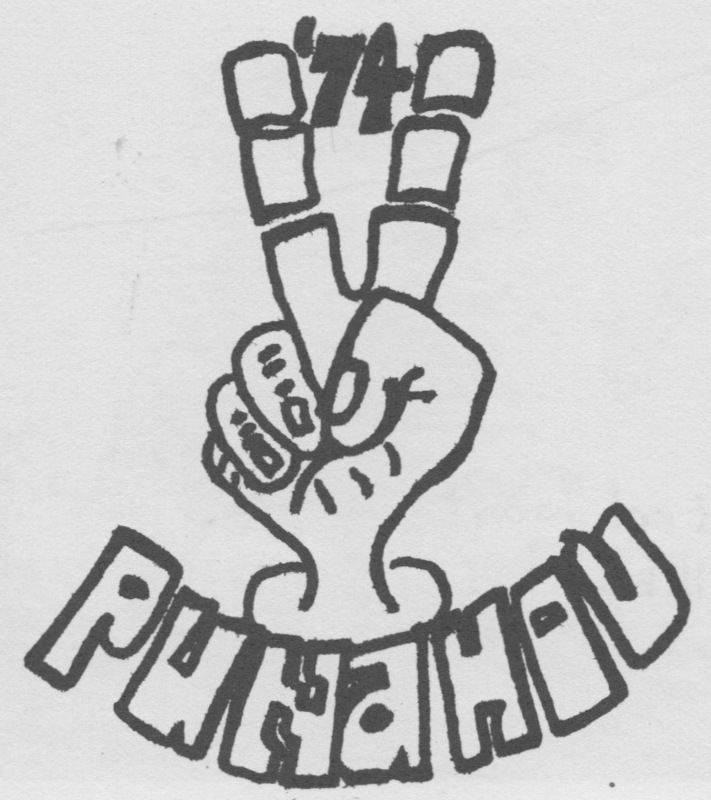 Good to know that Punahou74 is still strong … and still celebrating together. Alumni Week’s Thursday night is an “Alumni Celebration.” It’s open to all alumni (+ friends and family) and offers good food, good music, and good times. While it’s an alumni party, most of the attendees tend to be from reunion classes. And that’s something that Punahou74 will wait another two years to experience. But this doesn’t stop the great Punahou School class of 1974. Babs Miyano Young generously donated tropical floral arrangements that graced the Alumni Art exhibition. Simply stunning! I love how she lists the arrangement components by writing them on leaves that she places near the display. She also had some of her practical necklaces that double as holders for ID badges or eyeglasses for sale. Leighton Lam had both jewelry and artwork on exhibit, and for sale. Babs Miyano Young’s floral arrangement at the archives display. Babs’ flowers atop the Cooke Library circulation desk. Leighton Lam shows that he knows more than jewelry. But, as always, celebrations are best enjoyed in the company of friends. Fortunately, there were several classmates there to get the party started. Hope to see you in the picture next year and, if not, certainly in 2019. Can’t wait!